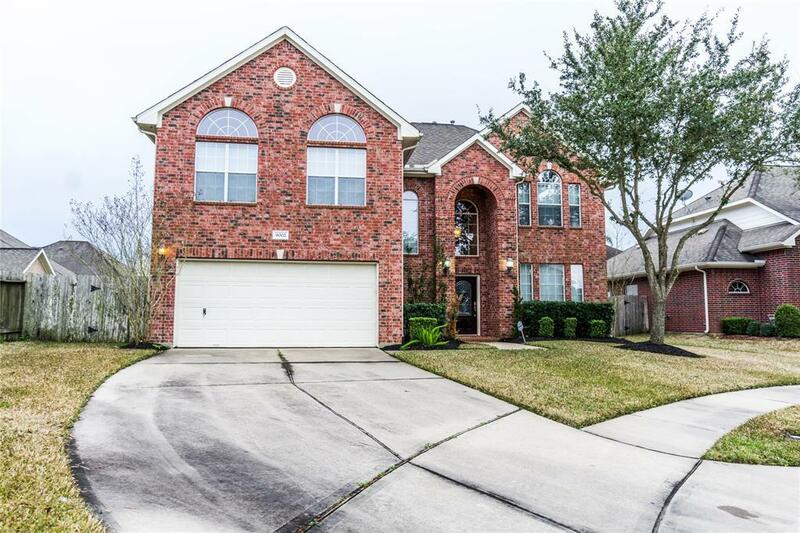 Fall in love with this lovely 2 story, high ceiling, cul de sac house that is located in the sought after Pearland ISD school district. 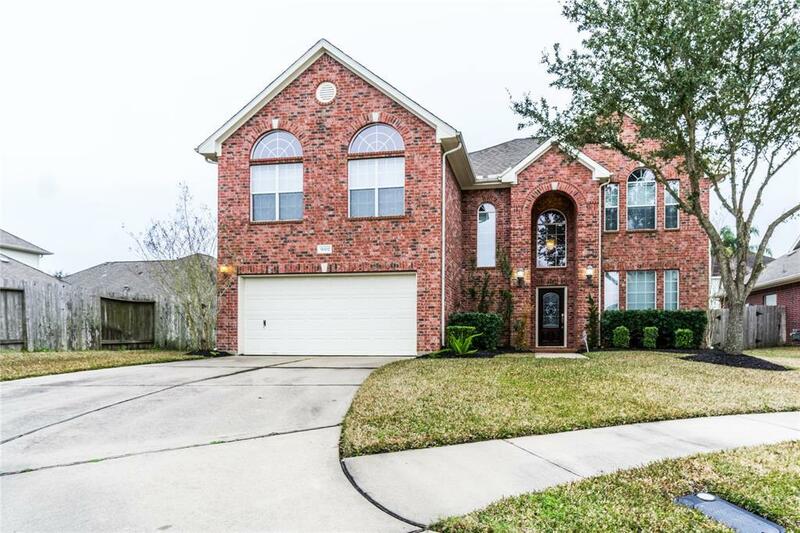 Kitchen features 42-inch cabinets, granite countertops, stainless steel appliances and included GE French door refrigerator. Step into a rare oversized laundry room with an included additional refrigerator, washer and dryer. 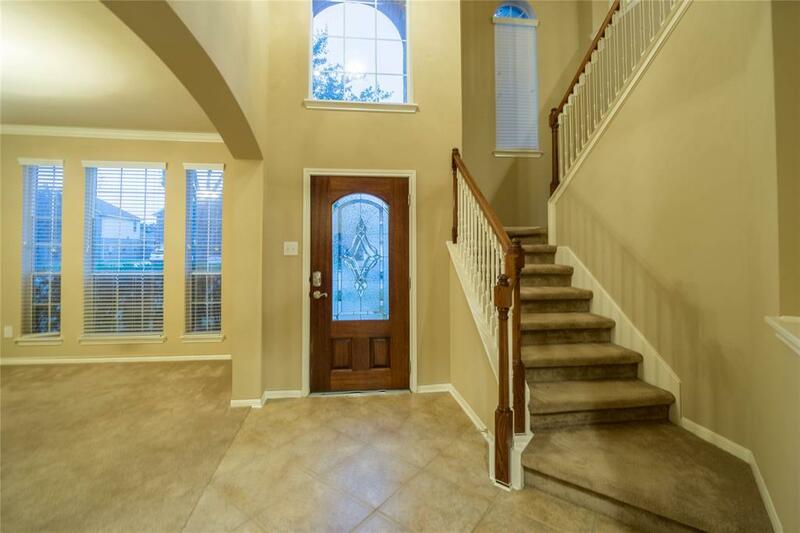 Master bedroom features crown molding and master bathroom comes complete with large walk-in closet. Upstairs features extra-large game room for entertainment ,3 additional bedrooms and the ability to overlook the living room. Additional amenities include gas log fireplace and included blinds on windows. 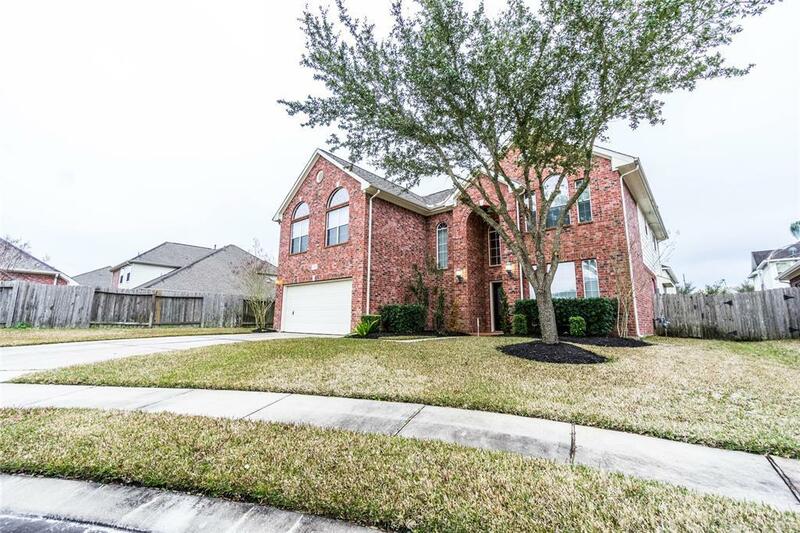 Dont miss this cul de sac property!